My sister (a mother of 2 in her own right) kicked this my way, and every little bit helps, right? 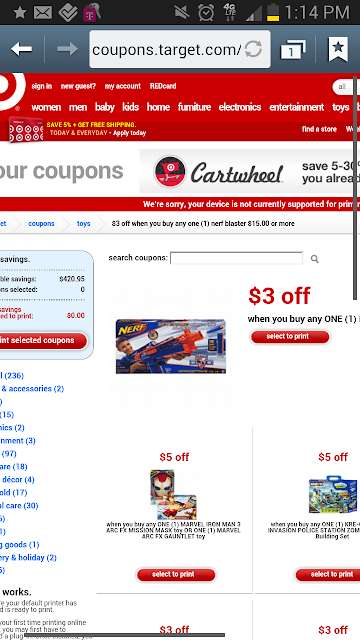 a Target Nerf coupon - $3 off a blaster $15 or more. I haven't tried this yet, but let me know if there are any problems!